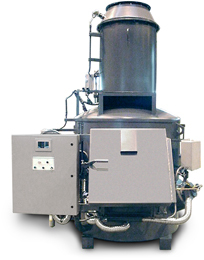 Commercial Solid Waste Incinerators | APC Products, Inc.
Consutech Systems, LLC is a recognized leader and pioneer in the modular incineration industry, focused on design and supply of complete controlled air systems. This includes incineration, energy recovery and emissions control equipment for all types of solid wastes. 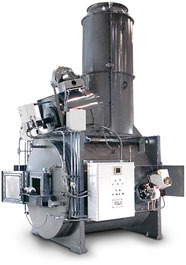 Consutech Systems, LLC manufactures a full line of modular incineration systems with over 35 models available from 8 to 24 hour per day operational capability. Single unit disposal rates from 75 pounds per hour to 120 tons per day are available. Each system is engineered, fabricated, assembled and tested at the company, prior to delivery. With over 5,300 units worldwide, the proven technology of Consutech Systems, Inc is unequaled.